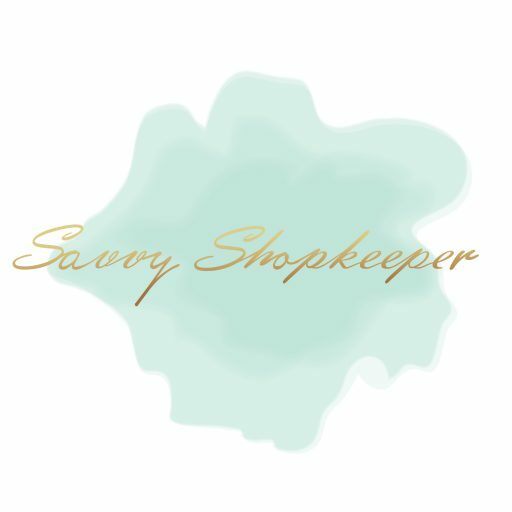 I wrote my first blog post for Savvy Shopkeeper 2 years ago. I can’t believe it! My journey started very slowly. At the time, I was juggling a small family, a demanding full-time job, and running the store I co-own with my sister (I exhaust myself just typing this out). Even with all of that in my life, my heart was pulling me to do more with Savvy Shopkeeper. So I retired early, took a summer break and started giving this blog and brand more attention. Two years and over 70 blog posts later, I now realize how much content I’ve shared. Blogs are great, but I know many new subscribers and followers don’t go back and read every-single-post. So, I want to share my top 5 blog posts from the past 2 years because you might find one or more helpful! In fifth place and one of my favorites! When my sister and I started The Salvaged Boutique it was a DIY blog. I have to admit, I kind of missed the DIY posts. So when I came up with the idea to create my own scratch off cards for an event, it made sense to share it with all of you! Click here to read the full post. This app has been a blessing! It’s an affordable option for small businesses that helps you set boundaries around your business – especially if you’re using your personal phone to help run your shop. Click here to read the full post. One of the biggest issues that face shop owners with social media is… “What do I post every day? !” so I took some time to generate a list of 75 social media ideas to help you when you’re stumped. It’s a FREE download and you can grab it here! Our first trip to AmericasMart was SOOO intimidating. I knew when we were heading to Atlanta, that I would want to help answer questions and create a guide for anyone else traveling there for the first time. So I took notes…. lots of notes! This is a 5-part email series that gets delivered to your inbox each day for 5 days. I give some tips, talk about our experience, debunk a few myths and try to help the newbie as much as possible! You can sign up for the email series here. 1. Do I Need a Wholesale Linesheet? Makers often wonder if they really need a line sheet. If they determine they do need one, they are so busy making and running their shops that they don’t have time to also design and make a line sheet. So I decided to help! In this blog post, I offer a free Canva line sheet template so you can make your own with ease. This is by far my most popular blog post! Click here to read more and grab the template for free. If you’ve been with me from the beginning or early on… THANK YOU, you’re still here and I appreciate it. If you recently started following… THANK YOU, I hope you find value in what I write and offer, and you stick around for a while. I am more passionate than ever to help shop owners and I look forward to the next two years and who knows how many more blog posts!